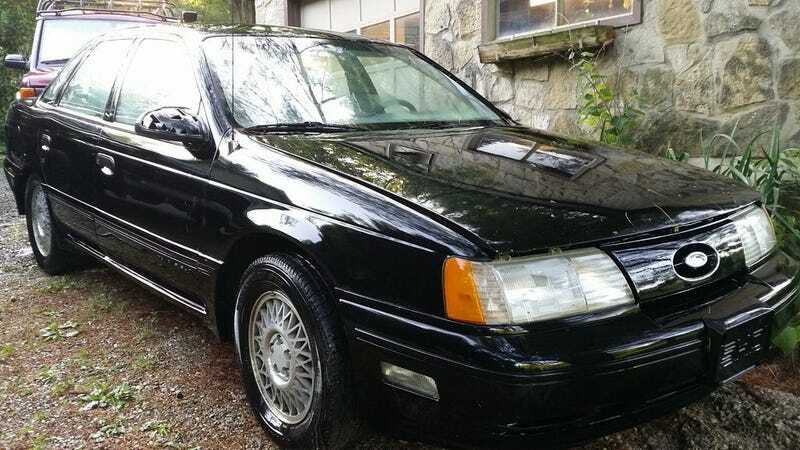 The 1989 Ford Taurus, was anything but fun. However, the engineers at Ford made a version that didn't include such a tragic drivetrain, and instead installed a 220 HP Yamaha V6 and gearbox that was - get this - manual. This was the purest driving Taurus ever - and it's now yours for next to nothing. This example is a barn find, and has been sitting for the better part of a decade. It looks to need some cosmetic work and rust repair, and probably a fair amount of tune-up parts, but with no reserve and a $500 starting price, I think it's a small price to pay for a rare modern classic.